Small quilt: center 40x48, with borders app. 65x70 cm. 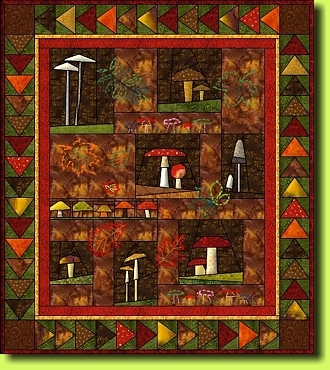 You can see my Magic Mushroom Garden with many details in the Gallery. You will notice that I made some changes to fit my personal needs. To have everything right in place you should join your blocks according to the given layout plan. 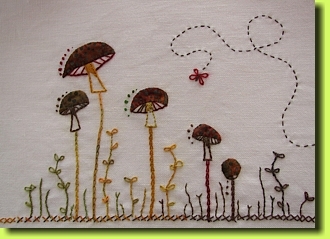 Some quilters already started sewing the mushrooms. To see their ideas go to the guest gallery.